Press F12 to confirm caution key of PPI change, Press ESC to reject." 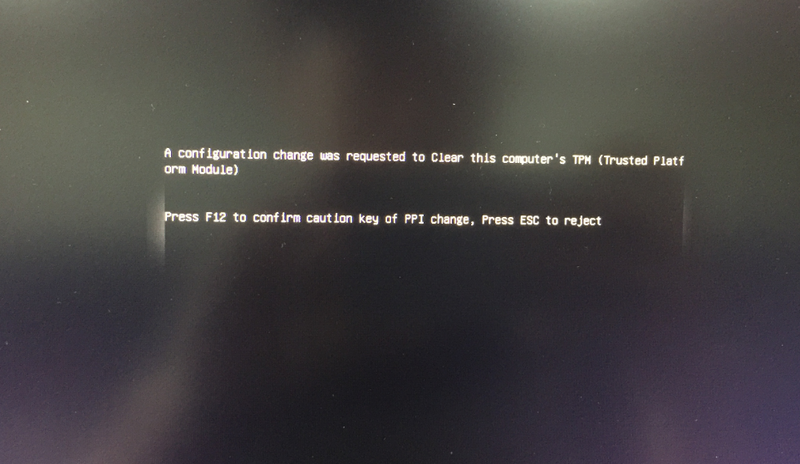 I just pressed the F12, it clered my TPM and changed my PPI, but the system recovery failed. Then I installed a new win 10 system to my laptop. However, the screen display changed a lot. After, I installed the driver, the display seems different from my original one (WIN 10). I have reinstalled the system before, and they are all WIN10. They shouldn't be different, so i think that should be caused by the PPI cahnging. I just want to know how to recovery my PPI setting? And the results of Clearing the TPM. How to slove them. Did you already solve this ?